OK, OK: winter is upon us, and wow, did it ever come fast. One minute we were basking in the glory of an extended fall, the next freezing our wee Scottish kilts off in a metropolitan blizzard. Yup, Toronto's winter is a mixed bag. Take last Monday, for example. We left our condo, mid afternoon, heading for the Distillery Christmas Market. The sun shining and the mercury settled at a temperate ten degrees, the scene was set for an evening of candle buying, hot chocolate cupping and gnawing on this season's gastronomic treat: Jurassic sized turkey legs. Picture the scene. The Toronto Market days behind us (after a short trip to the cottage) we've packed our truck, in preparation for the 'back to Toronto' leg of our Haliburton mini break. Beamer, our feline familiar, is curled in his carrier ready for the road ahead -- a full tum' and a warm truck being all he needs to sleep off the journey. We advance carefully on the newly ploughed roads (they're WAY more treacherous than The GTA) listening to Kate Bush's '50 Word For Snow' to promote wintery mood. Approximately 4.5 seconds later, the Rover is (nearly) over, resting in a huge powdery ditch and we're left wondering what just happened. Fortunately no injuries were sustained -- human or canine. Hey, Ms. Bush hadn't even reached her first chorus. Damn this climate! A call to the CAA (on what was surely their busiest day this year) rescued the situation, and thereafter a lone trucker appeared to save the day. He set about digging the truck out by hand using chains and sand to create sufficient grip to loosen the vehicle and get us back on the road. Just one man and a spot of brut determination... it was a festive miracle! Back in the city, on everyone's advice, we made Canadian Tire our first port of call and ordered winter tires post haste. And while waiting (with many other Canadians caught short by the snow) we did what any self-respecting designers would do... we shopped for a 'Christmas Tree 101' TV décor segment. Start by placing your bulb flex at the base of your tree then work up and around branches towards the top. Turn your room lights off and your tree lights on to reveal any 'holes' and adjust accordingly. Simple, right? Next step? Layer with sparkling garlands or those long glittering 'Happy Holidays' ribbons that literally spell out the festive vibe. Don't just hang on branch tips -- everything will look far more layered if you load décor into the depths of your tree's structure. 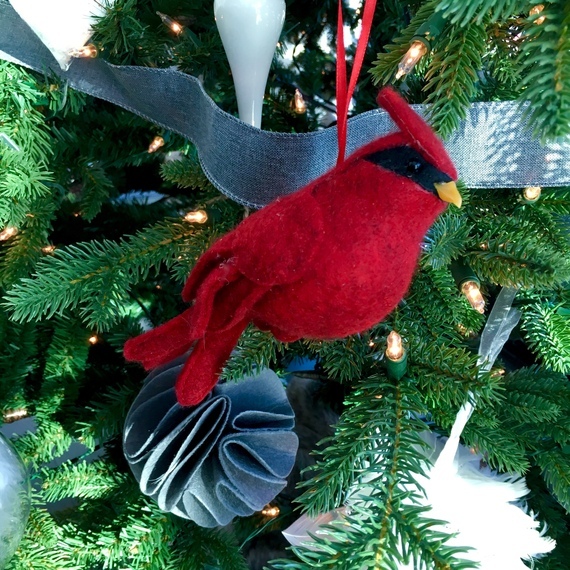 It's a simple tip, but we guarantee your tree will look way more considered. Sprinkle old school 'Lametta' (sparkly micro strands of spangle that provide a rich encrusted esthetic) across your tree's branches. 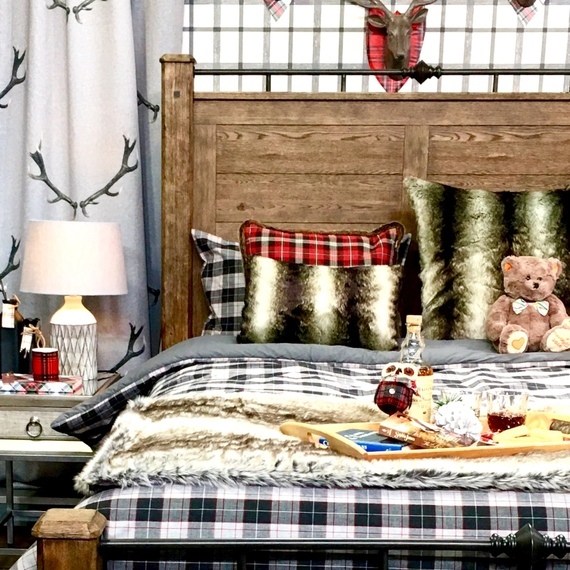 We really adore this stuff as it takes us right back to old school British festive décor. In the same way a Prada jacket and a less expensive Le Chateau shirt can work together, so too can expensive and inexpensive baubles make successful partners. But it all comes down to how you arrange everything. Our best advice is to lavish less expensive balls and beads across your tree, then punctuate the crop with your pricier gems to make the magic happen. Remember your topper. A sparkling angel will add a lovely glittery feel whilst a 3D star can look similarly fabulous. Whatever you choose, ensure it's not too heavy so it doesn't flop forward. 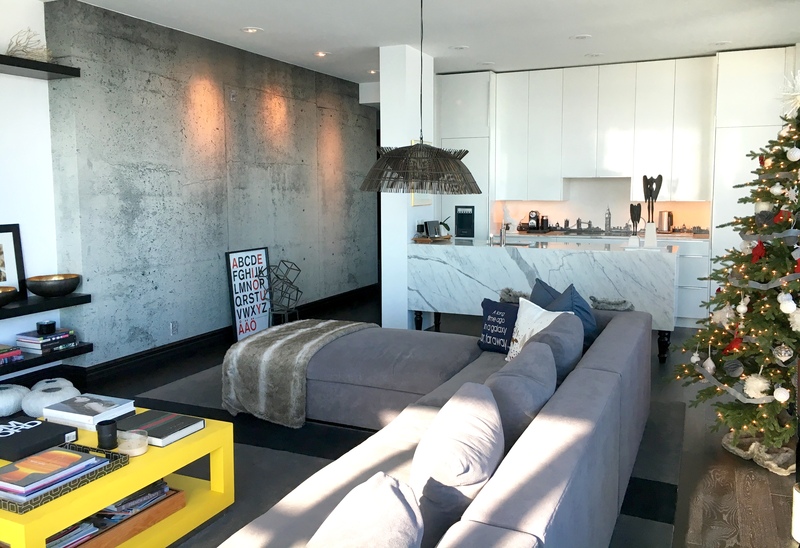 As means of illustration, and using our own condo as a location, we've showcased a modern grey, white and red tree and a dreamy cottage inspired 'naturals' alternative with all manner of 'hand crafted' cuteness. The white flocking of the latter, as we see it, provides contrast to the natural shade of the former. All items (trees included) were sourced in Canadian Tire, whose glittering aisles made the perfect place to pass time while our aforementioned tire crisis was allayed! As part of today's epistle, we've also included a pic of another project we recently designed, this one at Toronto's majestic Casa Loma. 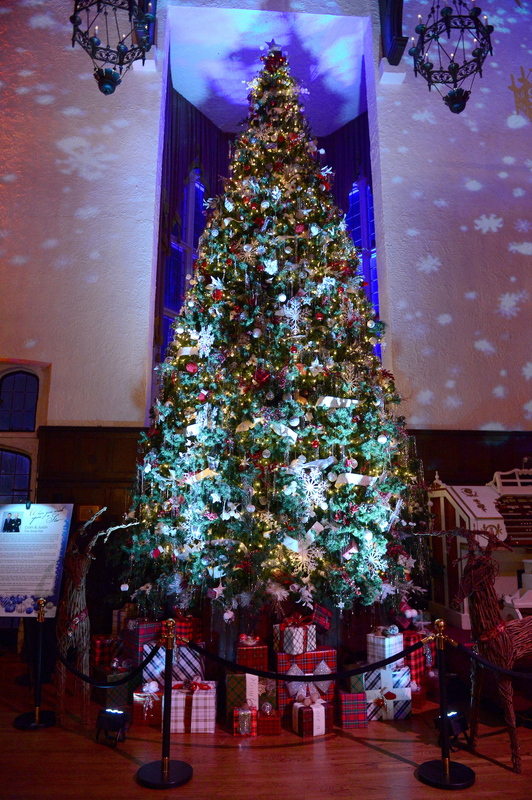 Visiting, you'll discover our 35' high 'Great Hall' Christmas tree -- created as part of the 'When You Wish Upon A Star' gala fundraiser for The Minstrel Foundation -- a hardworking charity who raise much needed funding to bring arts and music to inner city kids and young adults. 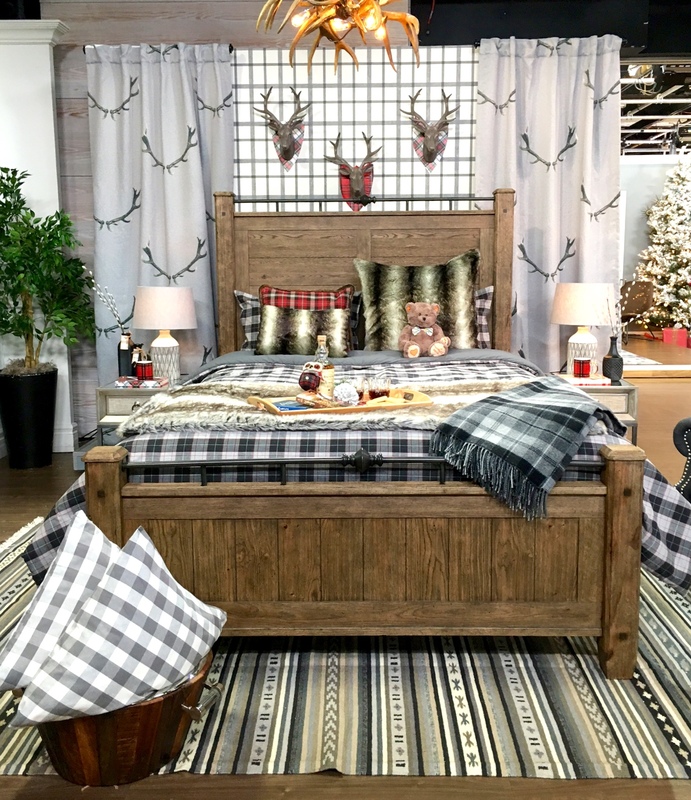 Top to toe in Christmas attire from Homesense, the monolithic arbor is a Land Of The Giants showstopper! 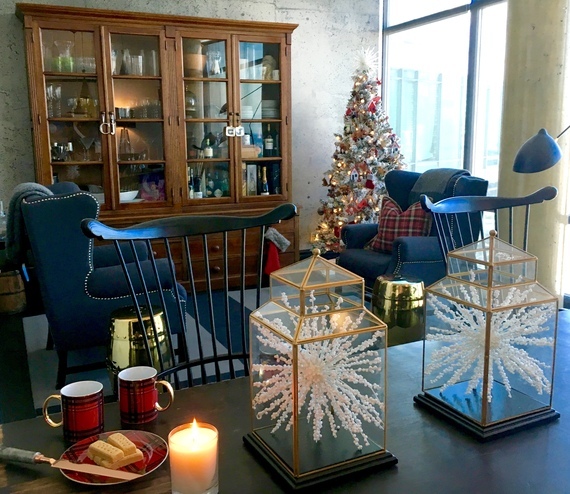 Finally, take a peek at a vignette we composed for Cityline. Anchored around a chunky wooden and metal bed from Cornerstone (and dressed with 'Colin and Justin Home' linens) our plaid filled festive hideaway amply demonstrates that we are indeed the boys who put the, ahem, tart into tartan. We've already had stocking loads of decorating fun and we can't wait to celebrate the big day, this side of the pond, when it finally comes. For now -- we'd like to take this opportunity to wish you all a joyous holiday. Cheers for your readership during 2016. We'll see you in 2017!